Strategic Radiology (SR) announced the addition of Radiology Associates of Macon (RAM), a 33-physician independent private practice based in Macon, Ga, bringing to three the number of Georgia-based SR member practices. The Macon, Ga.-based practice includes 30 radiologists and three radiation oncologists and serves six hospital and numerous outpatient care locations with subspecialized radiology, leadership, and radiation oncology services. RAM maintains a strong outpatient presence, providing diagnostic and interventional radiology and radiation oncology services at multiple outpatient locations, including joint ventures with several health systems. RAM provides professional medical services to six hospitals and nearly a dozen outpatient imaging locations in Bibb County, Georgia. 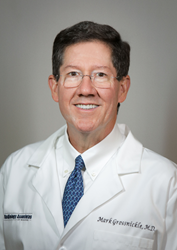 It joins core practice Quantum Radiology, Atlanta, Ga., and affiliate group Rome Radiology Group, Rome, Ga., as SR’s third member practice in the Peach State. Strategic Radiology is a coalition of 25 independent, private radiology practices, representing more than 1,100 radiologists. The coalition’s goal is to achieve higher quality patient care and more cost-efficient delivery of medical imaging through an integrated approach of shared data and best practices, interchanging clinical expertise, and consolidating certain practice expenses. It operates the nation’s only radiology-focused Patient Safety Organization listed by the Agency for Healthcare Research and Quality. http://www.StrategicRadiology.org.